The snowfall may be heavy but the streets and sidewalks of Downtown Northfield are clear. 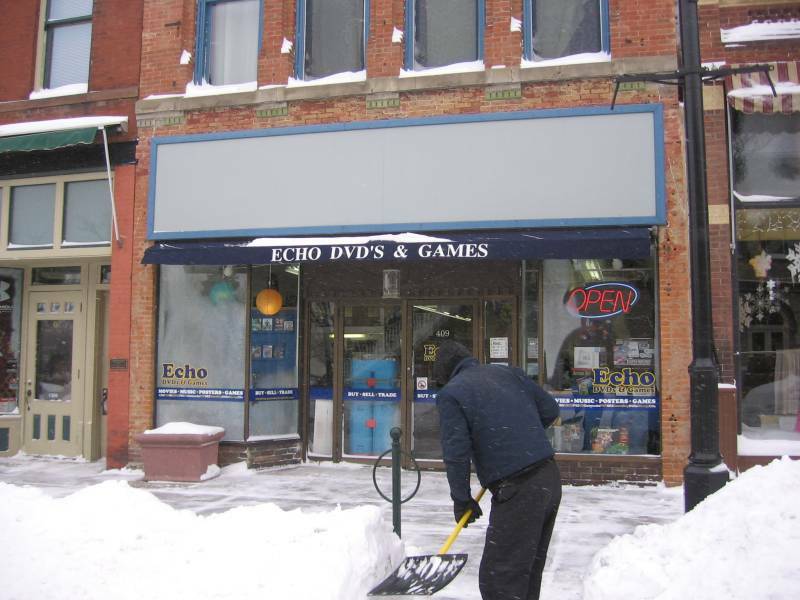 I stopped in at Echo Used DVDs and Games to visit with Kerri Houfer while her husband Scott handled the snow removal work outside. 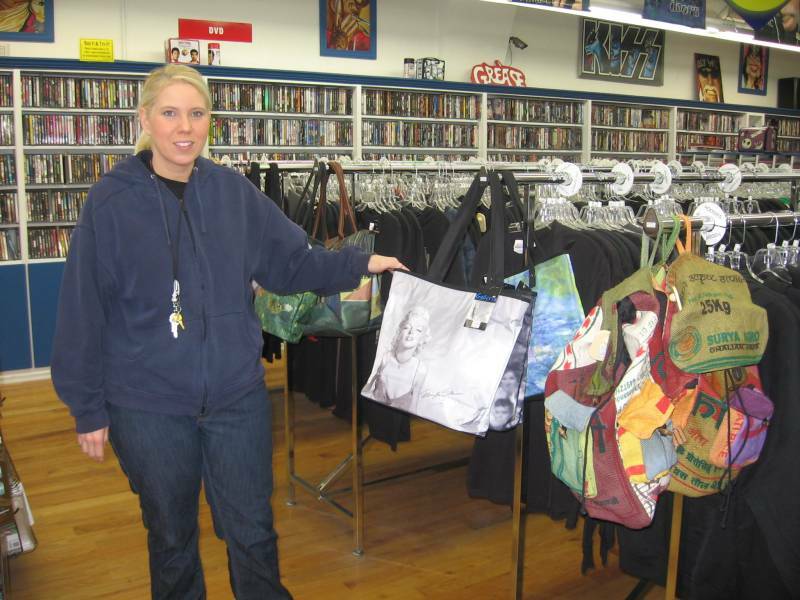 Kerri said that although used DVDs and games continue to do well during the holiday shopping season, there’s an increased interest, particularly by parents, in what I’ll broadly categorize as celebrity-themed items. The store has stocked up on these items and they’re a lot of fun. Something that has been doing really well in recent weeks are the artistic umbrellas. They come with famous art, natural scenes, or, of course…my favorites, with Elvis or Marilyn. Also popular this year, according to Kerri, are all “Twilight” items, such as t-shirts and posters, celebrity beverage glasses, and what I’ll call “candy clocks”. These last items are large, brightly-colored, easy-to-see, clocks with a theme based on popular candies. Finally, there are, of course, used DVDs and games. Kerri says boxed sets are a seasonal favorite gift and that retro games are really hot this year. And…hint, hint…I could still use a Led Zeppelin t-shirt from their 1977 American Tour. So, if you need gifts for the young or young-at-heart, stop in Echo Used DVDs and Games. Kerri and Scott Houfer have some great ideas and, I can verify, the sidewalk has been thoroughly shoveled.